Grocery shopping on the weekend can feel like a competitive sport. Aisles are crowded, lines are long, and according to Ibotta, many items are priced above average. The shopping app crunched the numbers to determine which days of the week are best to hit the supermarket. The verdict: Avoid Saturdays and Sundays if you want to save money. According to shopping data analyzed by Ibotta, an app that offers users cash-back deals for in-store and online purchase, the weekend is the most expensive time to replenish your kitchen. You're almost always better off doing your shopping on a weekday, but your savings will vary depending on what you buy. Wine, for example, is about 4 percent cheaper on Tuesdays compared to the rest of the week. If you leave your grocery shopping until Wednesday, you can pick up bread that costs 2 percent less on average and beer that costs 1 percent less. Produce is also less expensive on Wednesdays by 3 percent. On Wednesdays, head to the store to stock up on snacks that are priced 1 percent cheaper on average, then make another trip on Friday to find ice cream for about 1 percent off the normal price. Of course, the gas required to make separate trips to the grocery store every day of the week would quickly cancel out whatever money you save: A smarter way to take advantage of this information is to figure out which type of food you spend the most money on and schedule your trips based on that. Shrinking your grocery bill isn't the only reason to plan your food shopping outings carefully. 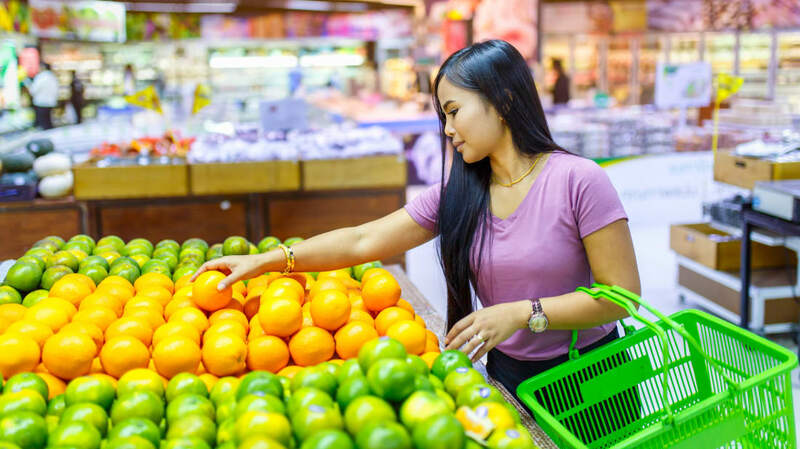 Depending on when you make the trek, the quality of your shopping experience—and the food you buy—can differ greatly. Head over to the store first thing in the morning during the week if you want first pick of the fresh produce. And if crowds are a major source of stress for you, go shopping on Tuesday and Wednesday mornings and enjoy the privacy.